We can blame consumerism and an increasingly secular culture for diminishing the importance and impact of Thanksgiving Day. The hard Left is committed to destroying the last vestiges of America’s traditional, Judeo-Christian heritage. This holiday season is no exception. The Pilgrim Hall Museum website provides a wealth of information on the Pilgrims and on Thanksgiving. They also provide the text of every Thanksgiving Proclamation. From its conception and birth, America was inhabited by a religious people with a reverence for God. They trusted in God’s Providence and frequently gathered together formally for celebrations of thanksgiving. 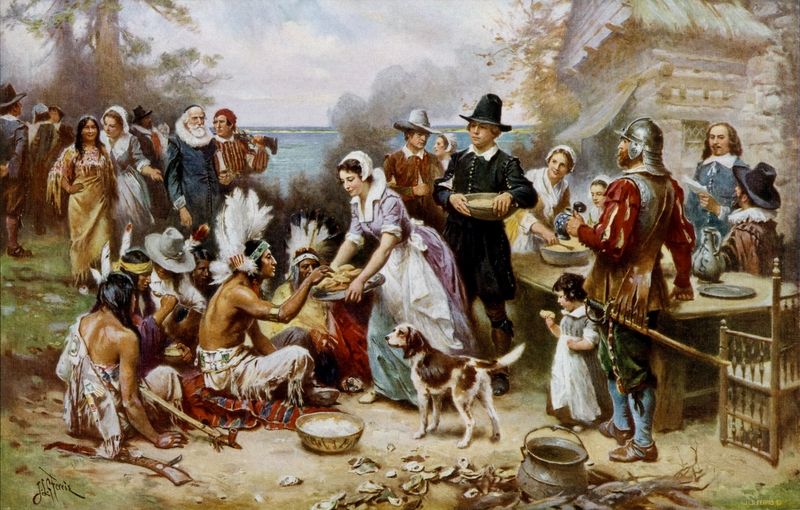 Thanksgiving Day traces its roots back to the Pilgrims who, in 1621, gathered together to celebrate a bountiful harvest. Beginning with the Sixties’ countercultural revolution, patriotism and piety began to be looked on with suspicion and disdain. Just as the counterculturalists dispensed with traditional values and mores, so, too, they discarded love of country and love of God. 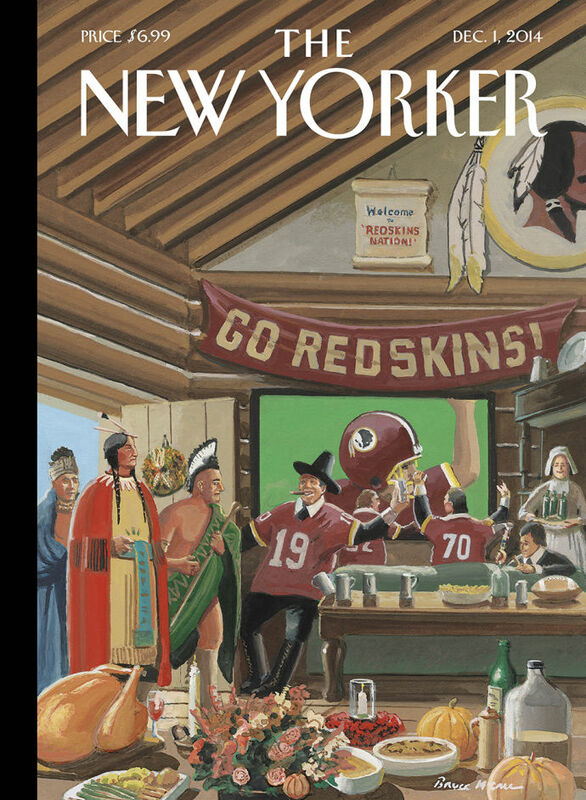 Thus, they eventually transformed a thanksgiving celebration from one which thanked God to one which thanked the Indians. In the interests of being politically correct and inclusive, Education World now offers suggestions for teaching young students, suggestions which actually diminish the celebration of Thanksgiving Day. 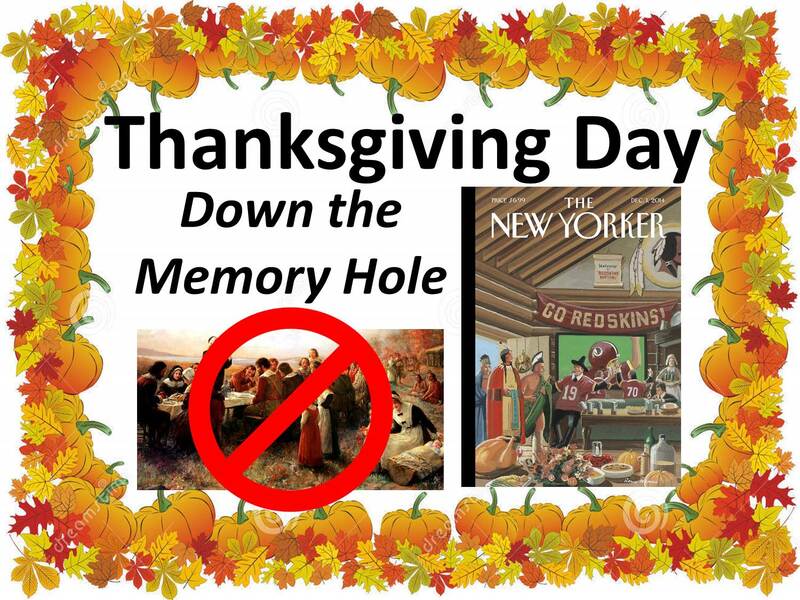 One suggestion – “Provide knowledge about contemporary Native Americans to balance historical information.” – does nothing to edify students about the actual subject matter and why Thanksgiving became such an important historical and contemporary holiday. Rather, this suggestion detracts from our Judeo-Christian roots and the significance of this foundational event in our nation’s history. Just as Christmas trees have been replaced by Winter Festivals, so, too, the revisionists would like to replace Thanksgiving Day with a generic, non-religious, ahistorical Harvest Festival. But political correctness is the new totem of the revisionists, and it must be given due homage. The degradation of America’s Judeo-Christian cultural origins continues without regard for their importance and, consequently, undermines the social, political, and spiritual fabric of our nation. Recall the reverent words from My Country, ’Tis of Thee: “Land of the Pilgrims’ Pride.” That reverence remains extant in much of the nation’s heartland. Let us hearken back to the middle of the Civil War, when a nation – both North and South – revered God and had grateful hearts. This entry was posted in Uncategorized and tagged counterculture, Lincoln, Pilgrims, revisionism, Sixties, Thanksgiving on November 26, 2014 by BrotherWatch. The world erupted into flames last night – or at least that portion of the world known as Ferguson, Missouri. Rioting and vandalism all in the name of “justice.” Justice? 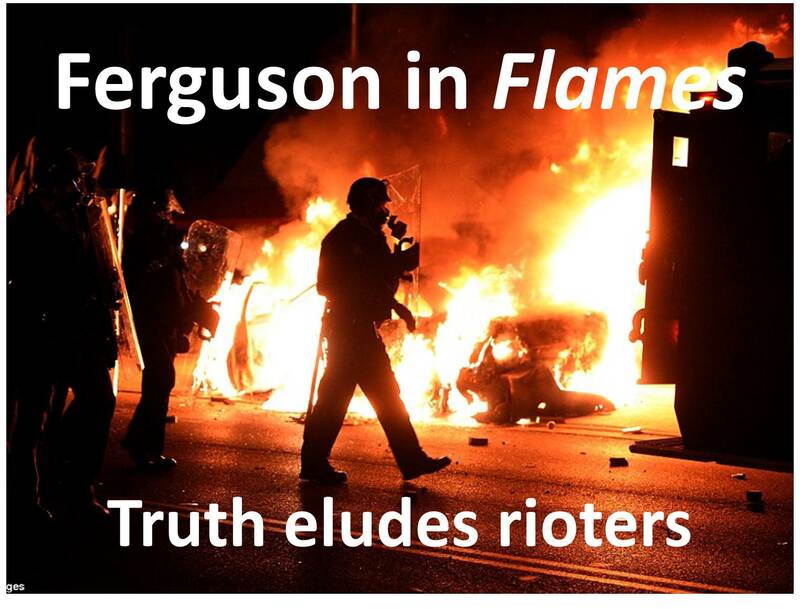 Truth eludes these rioters and their supporters. Emotions prevail over facts and reason. Propagandistic lies have been accepted as truth. And violence ensues. Innocent people hurt. Property destroyed. And the indoctrination by the mainstream media continues unabated. Some blacks are victims of a fifty-year-old War on Poverty and a welfare state which has become the new plantation – created by Democrats who treat them as children. The paternalistic state gone awry. We can add jealousy and greed; jealousy of what others have and greed for what they don’t have. Many have bought into the propaganda espoused by Al Sharpton, Eric Holder, MSNBC, and other liberal media outlets. They have become caught up in the emotions, trapped by the alleged racial grievances. They are despondent or enraged. Some people sport “I Am Mike Brown” shirts, actually identifying with a thug who, while on drugs, attacked a police officer after robbing a store. As for the police, they have been cowed by the racial grievance industry and fear of the rioters. The police have adopted Obama’s pretend-you-have-balls strategy against aggressors, refusing to respond to the rioters, the vandals, the looters, the arsonists, those who urge violence, and those who perpetrate it. Perhaps Eric Holder was right. Perhaps we are a nation of cowards – for not speaking up against the Eric Holders and Al Sharptons of this world and for not speaking the truth about the dysfunctional black community. The dysfunctional black community (or any dysfunctional community of any race or ethnicity) must address its dysfunctions from within. It is culture, not race. Change the culture and you will change the outcome. Don’t blame whitey. Take responsibility. Root out bad behaviors. Inculcate good behaviors. Reward right behaviors and right values. Disincentivize bad behaviors and wrong values. Return to traditional values and Christian mores. Be proud and grateful to be an American. And please – please – reject Obama’s big government, paternalistic, race-obsessed, socialistic “solution” to problems he and his ideology created in the first place. Every single investigation into the Ferguson shooting – including the exhaustive federal Justice Department investigation – exonerated Officer Wilson and determined that the Hands Up, Don’t Shoot narrative was a lie. Even though this false racial narrative – this myth – has been proven false, many media, political, and cultural elites continue to promote this false narrative and attack those who expose it as a fraud. That false racial narrative plays into the fears of those who are race-obsessed or who have been indoctrinated into believing racial stereotypes, which is ironic given they accuse others of racism. This entry was posted in Uncategorized and tagged Ferguson, Holder, Michael Brown, MSNBC, Obama, paternalism, propaganda, racism, riots, Sharpton, socialism, welfare state on November 25, 2014 by BrotherWatch. Apparently President Obama still thinks that Americans are stupid. 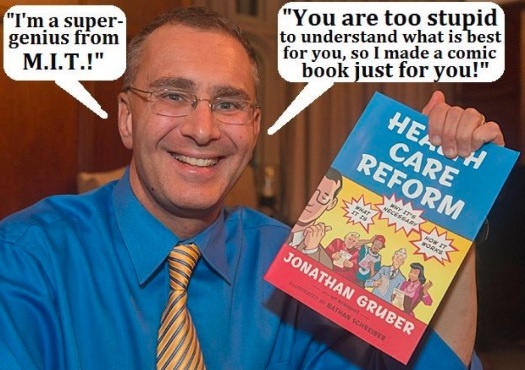 Like Jonathan Gruber, he continues to tell lie after lie with his own unique brand of Orwellian propaganda. We’re on to you, Mr. President. 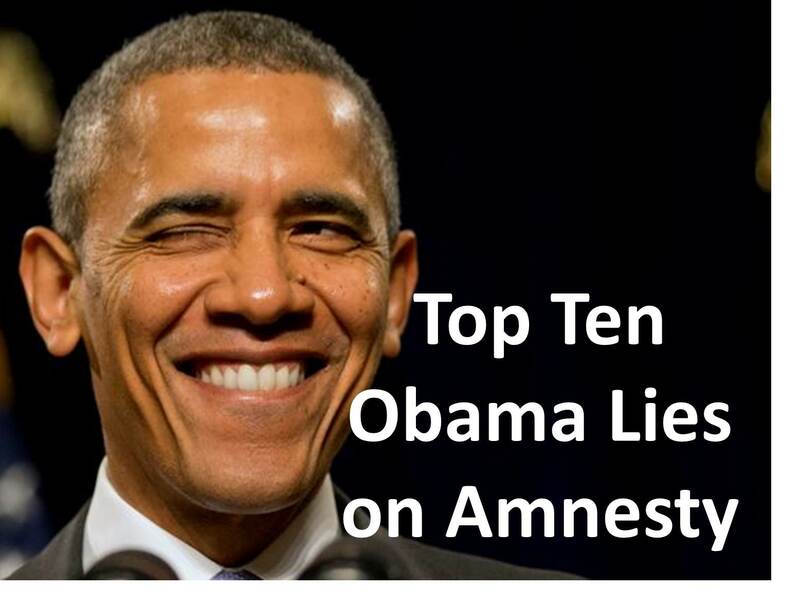 Lie #1: Every President has Taken Executive Action on Immigration. Lie #2: Illegal Immigrant Crossings are Down. Lie #3: It does not grant citizenship or the right to stay here permanently. Lie #4: Only 5 Million. Lie #6: Don’t deport families. Lie #7: They have to pay taxes to stay. Lie #9: Cracking Down on Illegal Immigration at the Border. Lie #10: Scripture tells us, we shall not oppress a stranger. This entry was posted in Uncategorized and tagged amnesty, immigration, Obama, unconstitutional on November 21, 2014 by BrotherWatch. The race war imposed on Ferguson, Missouri, is emblematic of how racism pervades the modern-day civil rights movement as led by Al Sharpton, Jesse Jackson, and other race-mongers, aided and abetted by the mainstream media. 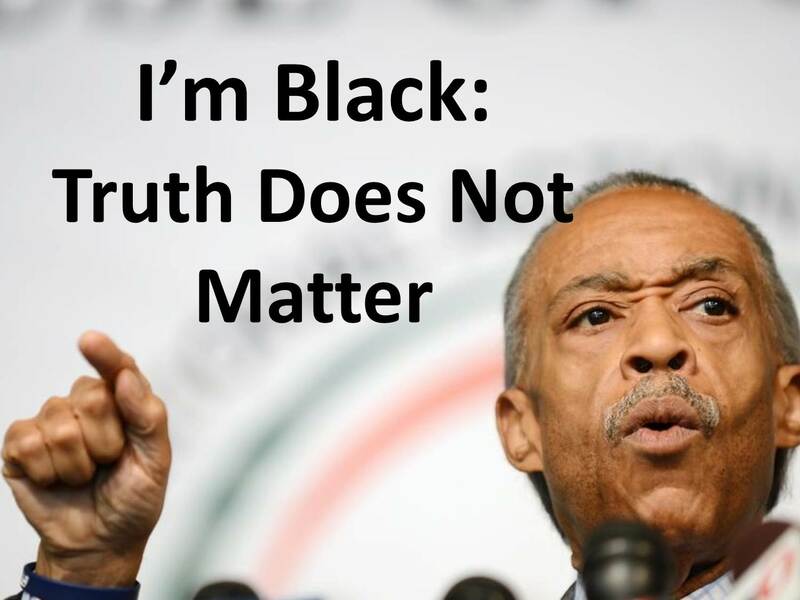 How does Sharpton – with all of his exposed lies, perpetrated hoaxes, unseemly scandals, and revelations of dishonesty and corruption – have any credibility as a leader? Does a movement with Sharpton as leader have any credibility in its own right? As I’ve addressed in the past, there is no singular “black experience.” What experiences do blacks from Jamaica, Haiti, Harlem, Detroit, and Liberia share? If by “black experience,” one means impoverishment in ghettoes, overrepresentation within the prison system, broken homes, teen violence, poor education, and the like, those experiences are the result of liberal policies and programs which are race-based, not colorblind. Thomas Sowell, a scholar who happens to be black, has written exhaustively, publishing a myriad of books and articles which provide well-researched analyses on race, culture, economics, education, and related topics. Sowell has demonstrated, through demographics, history, and logic, that there is no such thing as a “black” or “white” experience. Rather, culture is the key. Race hustlers like Sharpton speak of a non-existent “white privilege,” dismissing the notion that hard work, personal responsibility, and integrity can benefit people of all races and classes. Employing identity politics can be profitable, but it actually victimizes those it ensnares even as it erodes the very fabric of America’s civic society. What works for “White America” can work for anyone of any race or background. Instead of playing the victim in an obsession with the black experience, the focus should be on a shared human experience, as we are all created equal in God’s image. That was the premise and promise of America. The self-evident truth of our common humanity and our common endowment of human rights by God (not government) can free people to experience their full potential. A number of notable black leaders, such as Bill Cosby, Jason Riley, and Bishop Earl Jackson, have emphasized the cultural forces within much of the black community which lead to the various dysfunctions addressed above. Those cultural factors include family, education, values, responsibility, religion. Note: these are non-racial. In many urban communities, intact families (once termed nuclear families because they were the nucleus of the community) have been largely replaced – generationally – by single-parent ones. Those broken homes often create broken people. Some cultures (such as Jamaican) with a strong emphasis on family prove more successful than those (e.g., Detroit) which have become enmeshed with the oppressive paternalist government known as the welfare state. Similarly, those cultures (e.g., Korean) which stress hard work, personal responsibility, and pursuit of educational opportunities lead to stronger families and more successful offspring. Those families and communities which are spiritually oriented and regularly attend church are more likely to have intact families and promote those positive values which lead to success (both financially and spiritually). In contrast, dysfunctional families and communities tend to fall into unsuccessful patterns of behavior and to adopt negative perspectives and emotions. Consequently, urged on by leaders like Sharpton and the mainstream media, some people have adopted a victim mentality and a sense of entitlement. Being “victims” thus “entitles” them to freebies from the government. Freebies which enslave them to the government. This has largely developed due to a welfare state which was created fifty years ago to address those very concerns and which has only exacerbated them. In their efforts to alleviate poverty and suffering, progressives have only succeeded in making matters worse. Progressives use the racist meme incessantly, with their propaganda often prevailing over actual facts. Targeting the emotions of people they can hail as victims of a racist society gives them a constituency and provides them with an income, but it does little for their targets and it harms innocent people, corporations, and consumers. Indeed, their lies corrupt the culture, society, our civic institutions, and the free market. A Boston investment firm invested in Snapple and, therefore, its label incorporated a photo of the Boston Tea Party. In the early 1990s, rumors arose falsely claiming it depicted a slave ship (not a clipper ship). The company was forced – based on a lie – to change its label! In this instance (as in many others), deliberate propaganda met with willful ignorance to vilify a legitimate enterprise and reject truth. America has proven its character and the astonishing strides she has made in racial relations over the fifty years. Indeed, an extraordinary number of non-black Americans who voted for Barack Hussein Obama – twice! Whereas, Obama views America has fundamentally flawed and in need of fundamental transformation, most Americans know better. Having given Obama many chances to prove himself, America recently rejected his entire agenda. Still, Obama and his administration continue to support those race hustlers who foment division, promote spurious racial grievances, and seek to increases entitlements as a form of reparations – all of which hurt those they purport to help. See Thomas Sowell, Race and Culture: A World View, Basic Books, 1994. See also Thomas Sowell, “Race, Culture and Equality,” at http://www.tsowell.com/spracecu.html. See “Guilty of Being White” at http://wp.me/p4scHf-17. See “GOP Triumphs Despite Voter Fraud” at http://wp.me/p4scHf-59. This entry was posted in Uncategorized and tagged Detroit, entitlement, Ferguson, Jackson, race war, racism, Sharpton, Snapple, Sowell, victimhood, welfare state, white privilege on November 21, 2014 by BrotherWatch. Obamacare was born in ideological sin and is destined to die a catastrophic failure just as every socialist endeavor deserves to experience. 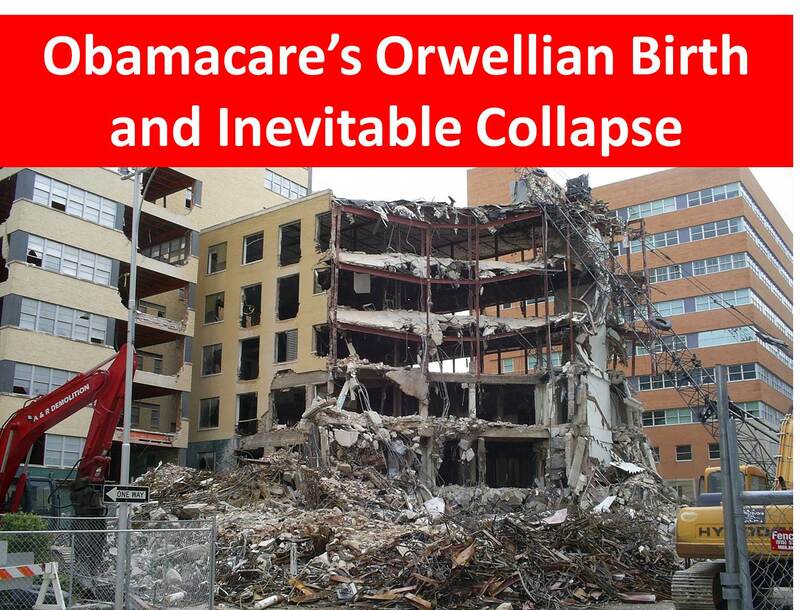 Orwellian constructs were crucial to foist Obamacare on the American people. In retrospect, the truth is obvious. But, in his legendary dystopia, 1984, Orwell described a system of propaganda techniques which work to serve the purposes of Big Brother, the ruler of a totalitarian, centralized, bureaucratic big government controlling every facet of the lives of its subjects. 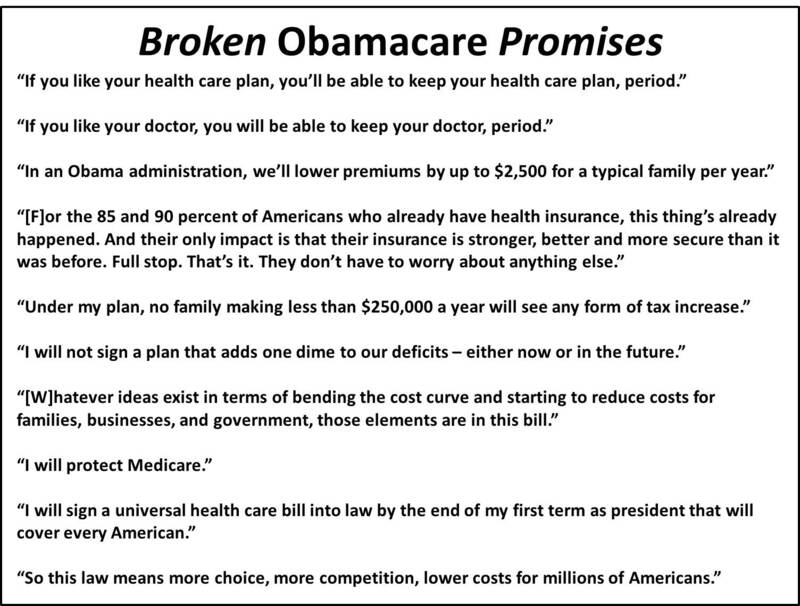 From the beginning, the Obama administration promulgated a series of Big Lies: if you like your insurance/plan/doctor/hospital/etc., you can keep your insurance/plan/doctor/hospital/etc. Newspeak ruled the debate. Is a penalty a tax? 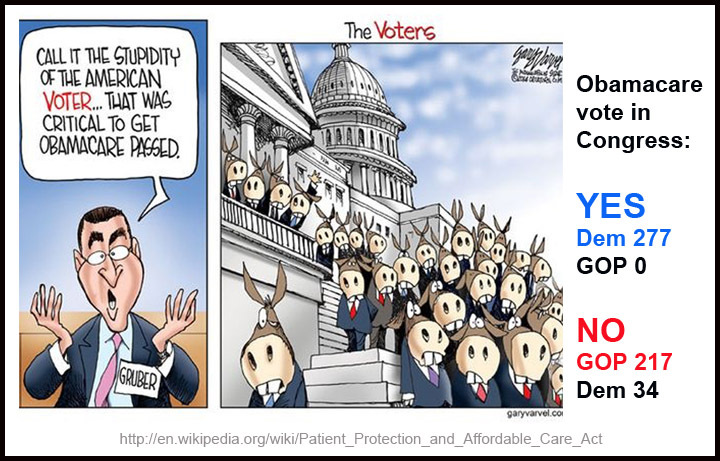 Can the government require its citizens to buy a product – Obamacare – that it does not want? How are individual and employer mandates operative in a free society? Doublethink was essential to get people to believe the impossible: that millions of more people could enter the system and receive better care at a lower cost despite adding layer upon layer of additional bureaucracy. Gone down the memory hole, the debacle that was Hillarycare in the 1990s. Also dispatched to oblivion, the high quality of American health care and the poorer quality, higher cost, and rationing of socialized healthcare in other nations. Further, the abject failures of centralized planning and socialized governments worldwide wherever implemented were either forgotten and ignored. But – as this system invented and implemented by elite central planners who glibly and arrogantly think that they know better than American citizens how those citizens should live their own lives – now, that Americans are experiencing the effects of Obamacare, they don’t like it. Alyene Senger, “Ten Broken Obamacare Promises,” Heritage Foundation, 12/18/13, at http://www.heritage.org/research/reports/2013/12/10-broken-obamacare-promises. John Hayward, “Grubermania continues: it’s awesome how Ted Kennedy ripped you off, isn’t it?” Human Events, 11/14/14, at http://humanevents.com/2014/11/14/grubermania-continues-its-awesome-how-ted-kennedy-ripped-you-off-isnt-it/. This entry was posted in Uncategorized and tagged big lie, Doublethink, Gruber, healthcare, Kennedy, memory hole, Newspeak, Obama, Obamacare, Orwell, propaganda on November 19, 2014 by BrotherWatch. Many Democrats are shell-shocked and in denial. 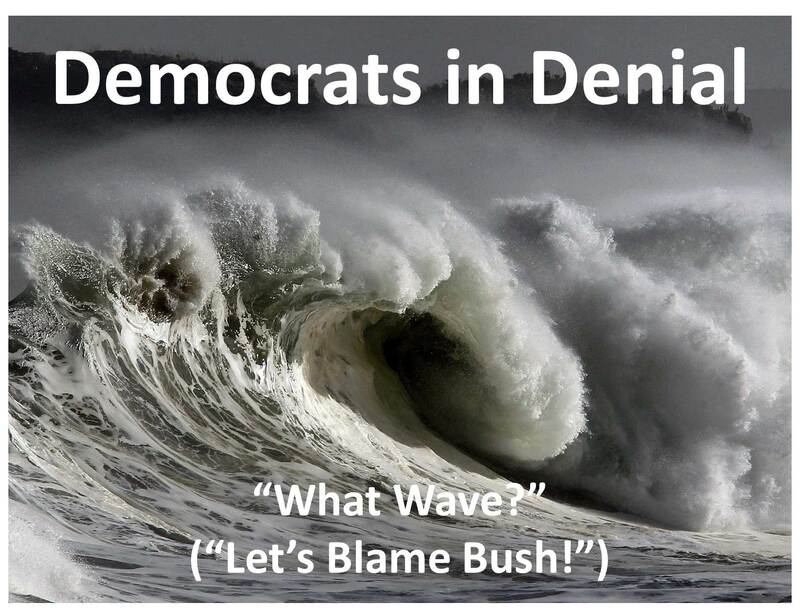 Some deny the GOP wave even took place. Others cite an anti-incumbent mood for their losses. 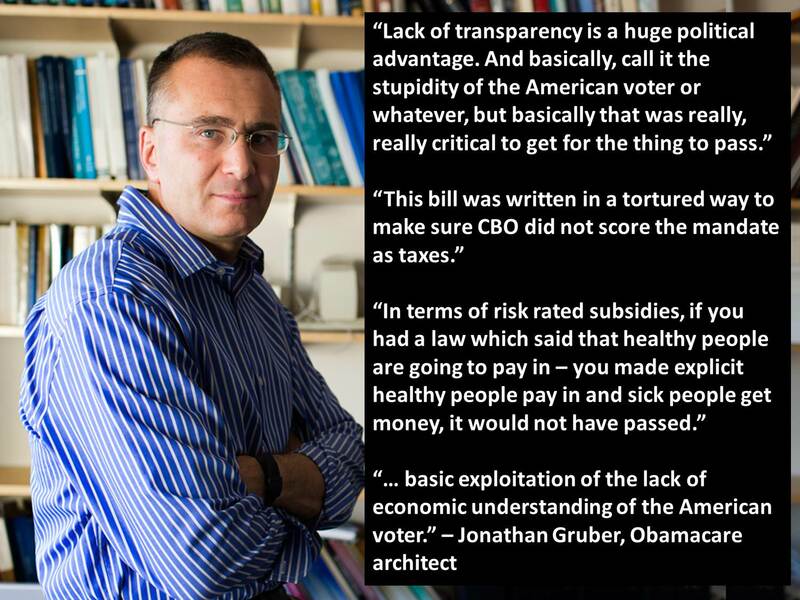 Or low voter turnout. Or the off-year election phenomenon. At heart, all of these excuses deny the fact that Americans have decisively rejected President Obama’s policies and his vision for America. In total denial, the President of the United States and leader of the Democratic Party claimed, “The American people sent a message, one that they’ve sent for several elections now.” Except, of course, each of the last four elections was unique in its own right and in the messages conveyed by the electorate. But what does “getting the job done” mean? Obama’s misreading of this election’s “tea leaves” suggests he needs to get another job. Americans want a reversal of Obama’s policies, not a bipartisan preservation of them. Once again, Americans placed Republicans – not bipartisan leaders – in charge. Besides, Obama has already failed at his own self-proclaimed global mission, having helped the world go up in flames. If true, then why did Democrats disguise their true agenda, lie about Obamacare and immigration, and avoid the issues that Americans were most concerned about? And why did Americans reject them? We, the People, have spoken. The GOP tsunami augurs well for America. It remains to be seen whether the GOP will have the courage to fulfill its responsibilities, stand firm on its principles, and fight for freedom. This entry was posted in Uncategorized and tagged election2014, GOP, Obama, propaganda on November 13, 2014 by BrotherWatch. In our celebration of Veterans’ Day, let us recall the words of Abraham Lincoln, whose speeches and correspondence acknowledged the valor and sacrifices of our military and their families. But, in a larger sense, we cannot dedicate – we cannot consecrate – we cannot hallow – this ground. The brave men, living and dead, who struggled here, have consecrated it, far above our poor power to add or detract. The world will little note, nor long remember what we say here, but it can never forget what they did here. It is for us the living, rather, to be dedicated here to the unfinished work which they who fought here have thus far so nobly advanced. It is rather for us to be here dedicated to the great task remaining before us – that from these honored dead we take increased devotion to that cause for which they gave the last full measure of devotion – that we here highly resolve that these dead shall not have died in vain – that this nation, under God, shall have a new birth of freedom – and that government of the people, by the people, for the people, shall not perish from the earth. This entry was posted in Uncategorized and tagged Abraham Lincoln, Gettysburg Address, inaugural, Lincoln, Lydia Bixby, Veterans’ Day on November 10, 2014 by BrotherWatch.